Joseph Daniel Dush died on May 23, 2017 at the age of 79. He joined the Knights of Columbus on August 1, 1994 and was a Fourth Degree Knight. Mr. Dush was born on Aug. 20, 1937 in Irishtown, Pennsylvania to Clyde and Margaret Collins Dush. He married Anna Marshall Shomo on Sept. 7, 2013 in Frenchville, Pennsylvania. Mr. Dush graduated from Brady Twp High School in 1956 at Luthersburg, Pennsylvania. He was preceded in death by his parents; brothers, LeRoy and Bill; and sister, Sister Theresa Dush; and his first wife Rita Dush. 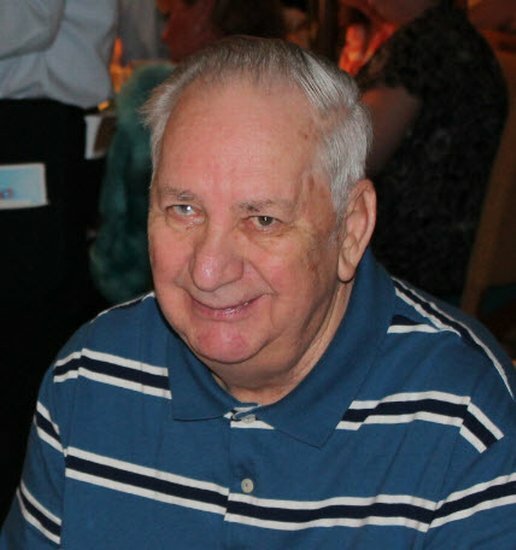 He was survived at the time of his death by his son, Joe Dush of Plant City, Florida; daughter, Theresa Dush of St. Petersburg, Florida; grandchildren, Ryan and Emma Dush; great-grandchildren, Trevor, Austin and Emma Dush, all of Plant City, Florida; three step-children; four step-grandchildren and four step-great-grandchildren. Mr. Dush retired after 30 years as the meat market manager at Winn Dixie in Florida, at which he started out as a meat cutter. He also worked as a meat cutter at Oklahoma Mini Mart, and then Save-a-Lot Grocery Store in Jasper, Alabama as the meat market manager. He worked at Flowers Bakery and he delivered the Purple Cow Magazine in all of Walker County for two years. Services were held Friday, May 26, 2017 at St. Patrick Catholic Church in Adamsville with Father Vernon Huguley officiating. Pall bearers included his Brother Knights Larry Cannon, Curry Cooper, Louis J. Muro, Mike Muro, Ronnie Muro, and Clay Reece. Honorary pall bearers were Doug Balcom, Ed Brown, Howard Busby and Fred Deason. Mr. Dush was taken to his home of Plant City, Florida, where he was buried at Memorial Park Cemetery. Editor's Note: We welcome any contributions to this page from any friends or family of our brother Knight Joe Dush. 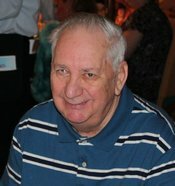 If you were one of the many who celebrated the life of Mr. Dush and you have any comments or stories about Joe that you would like to share, please e-mail Louis J. Muro. We also welcome any photos of Joe that you might have. To send an e-mail to Mr. Muro to submit comments, click here to go directly to his contact page.